From North of Hayward: Take the 880 south to the Winton Avenue exit. Exit Winton Ave. east. Merge onto Winton Ave. and turn left at Amador St. (2nd stoplight). Amador Village is on the right about half a block down the street. From South of Hayward: Take the 880 north to the Winton Avenue exit. Exit Winton Ave. east. Merge onto Winton Ave. and turn left at Amador St. (2nd stoplight). Amador Village is on the right about halfa block down the street. From the Peninsula: Take the San Mateo Bridge (92) across the Bay. Exit into Downtown Hayward. Turn left onto Amador Street. Amador Village is on the right after you pass the Winton Ave. intersection. From the East: Take the 580 West to the 238 North. Merge onto the 880 south to the Winton Avenue exit. Merge onto Winton Ave. and turn left at Amador St. (2nd stoplight). Amador Village is on the right about half a block down the street. Copyright © 2019. 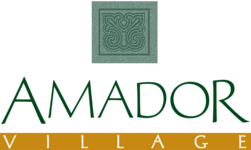 Amador Village. All rights reserved.